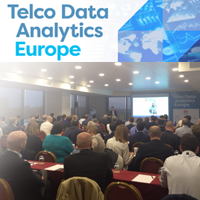 With a line-up of high profile speakers, including Richard Benjamins of Telefonica and Berit Svendsen of Telenor, Telco Data Analytics was an event not to be missed. The two-day conference and exhibition attracted 100 high calibre delegates, each contributing to the future direction of data analytics in the telecoms industry. In this blog we share some of the key themes emerging from the event. A topic addressed by numerous speakers at the event was data monetisation. The term has been in use for a number of years, but it is only now that real use cases are beginning to materialise. Berit Svendsen, EVP and CEO at Telenor Norway discussed such use cases using the example of tourism in Norway. Insights into visitor statistics can be monetised, providing tourism businesses with details such as the percentage of visitors from each country, or their sleeping and rising habits. On a panel session later in the day, Dirk Jungnickel suggested the term ‘insights monetisation’ may actually be more fitting for these types of use cases. Rob Jones of IP Access later discussed the opportunities for local proximity data monetisation. For retail outlets, there is huge potential for targeted advertising via mobile devices when in the proximity of a store. A great example was texting a discount voucher for a coffee as subscriber’s approach Starbucks in a shopping centre. Of course with this type of data monetisation, the biggest challenge will be processing the data fast enough to make the use case viable. Real-time analytics or right-time analytics? On day 1 of the event, a panel made up of representatives from Netscout, Nokia and Du discussed some of the challenges of real-time data analytics. It was agreed that Operators must look at the need for real-time analytics on a per use cases basis rather than across the board. The term ‘Right-time Analytics’ may actually be more fitting; the right-time for network optimisation may be daily, whereas the right-time for automated marketing may be every 2 minutes. Operators must also begin to consider real-time analytics as a closed loop to evaluate whether it can actually drive business value. They can no longer just look at data collection times, but must also factor in processing times and the time to actually act upon insights. This is especially true for use cases such as local proximity data monetisation discussed above, in which operators will have less than a minute to access and act upon data insights. To achieve this, they will need a network analytics solution that can collect, analyse and automatically act upon data without human intervention. Another topic, introduced by Richard Benjamins, Group director of BI and Big Data at Telefonica was the concept of using telecoms data for social good. Currently working on a project by project basis, Telefonica can provide insights into mobile usage during and after global events such as earthquakes and other natural disasters. This is providing insights for aid organisations and local governments to help understand human behaviour in emergency situations. To enhance this even further, the next steps involve moving from a project by project basis towards a continual stream of telecoms insights to drive social good. Other topics discussed included the increasing need for better security across the Internet of Things ecosystem and smart city data hubs. Mohammed Zoualfaghari, Senior Research Scientist at BT explained how smart parking sensors in Milton Keynes have reduced the projected spend on car parks from £105 million to £1 million through intelligent traffic management. Demonstrating data analytics use cases and introducing new data analytics concepts, Telco Data Analytics proved to be an insightful and thought provoking event in the telecoms arena.